On tiny islands in the storied Zambezi, Chobe and Kwando rivers, we found three luxury hideaways: Islands in Africa’s Susuwe, Impalila and Ntwala, each in its own distinctive setting. It was impossible to choose a favourite, so we’ve decided to revisit them all the next time we’re in Namibia’s Caprivi, a narrow finger of land that borders Angola, Zambia, Zimbabwe and Botswana. They are ideal stops for trips onward to Vic Falls, the Okavango, or Etosha. At Susuwe, set on an isle in the middle of the placid Kwando River, we found the magic combination of amenities, along with a perfectly trained and imaginative staff, led by management couple Peter and Anesu, and a talented chef. The six chalets are king-sized, with huge bathrooms studded with step-in tub, separate shower and loo. Step outside onto the deck to find a private plunge pool overlooking the river – all is silent until a hippo bellows and the water birds start up. Susuwe offers game drives by boat and four-wheel-drive vehicle – we did both, of course, since the area abounds with hippos, as well as elephants, but there are blessedly very few humans. One day, lunch was up in the trees on a raised platform overlooking the river. Another day we were asked to go for a quick pre-lunch cruise to see some hippos. We turned a bend in the secluded back channel of the river to find a surprise – a minuscule sand island set up as a fabulously remote dining room, with umbrellaed table, flowers and a full staff to serve us Chef Lusken’s four-course picnic menu. We were absolutely delighted. It was hard to leave Susuwe for Impalila, but we arrived at this rustic island retreat in waters of the Zambezi to find Heidi and her staff awaiting us on the dock. Here, there is a stone-edged infinity pool for guests, along with a pavilion furnished with comfy sofas and chairs. 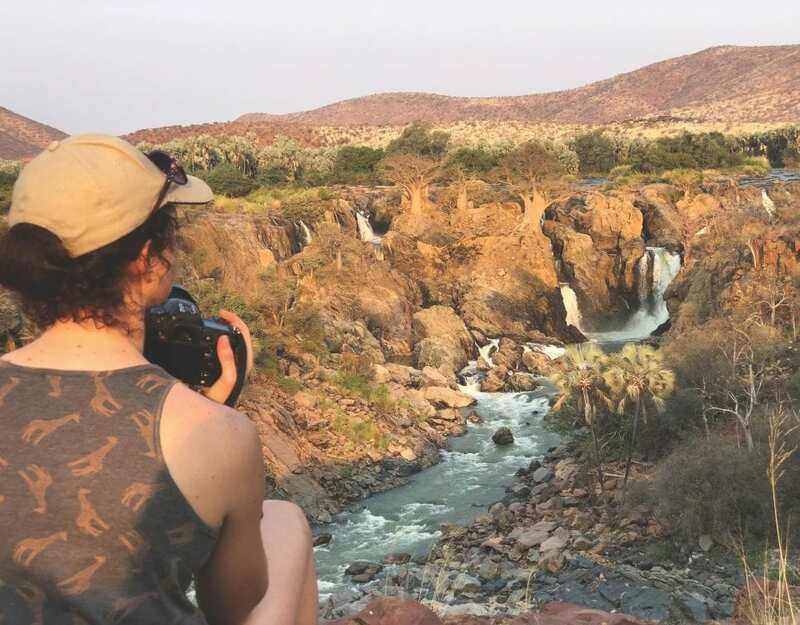 Guests may join the local guides for walks to nearby villages, hikes to the other end of Impalila Island, or on boat cruises downriver to where four countries meet at the confluence of the Chobe and Zambezi. The eight double chalets here are wood-panelled, with king-sized beds and baths with showers, and decks overlooking the river. During 2009, Impalila will be freshened and updated, but will keep the relaxed and comfortable ambience that makes it a favourite of repeat visitors. Though it is only three minutes away from Impalila by boat, Ntwala is so hidden on its little island in the Zambezi that we didn’t see it until we were at the shaded dock. Four elegant chalets offer eight guests the chance to enjoy an extra-large living/bedroom and equally large bathroom centered by a grandissimo bathtub. Outdoor amenities for each chalet include private shower and daybed at one end of the rambling deck and a private pool at the other end. Our host was the genial Andre. Guests at Ntwala may choose the privacy of their chalets or lounge on the sofas in the main living room or outside on the lodge’s large deck, where corners shelter hidden, romantically draped daybeds for napping or reading. Of course, the day’s events include game-watching cruises to Chobe National Park on the Botswana side, trips downriver, or walks on nearby Impalila island. For a small wedding or special anniversary, take the entire lodge and turn it into a completely private retreat. We left the Caprivi and went to town to stay at the company’s gorgeous apartment suites near downtown Windhoek. 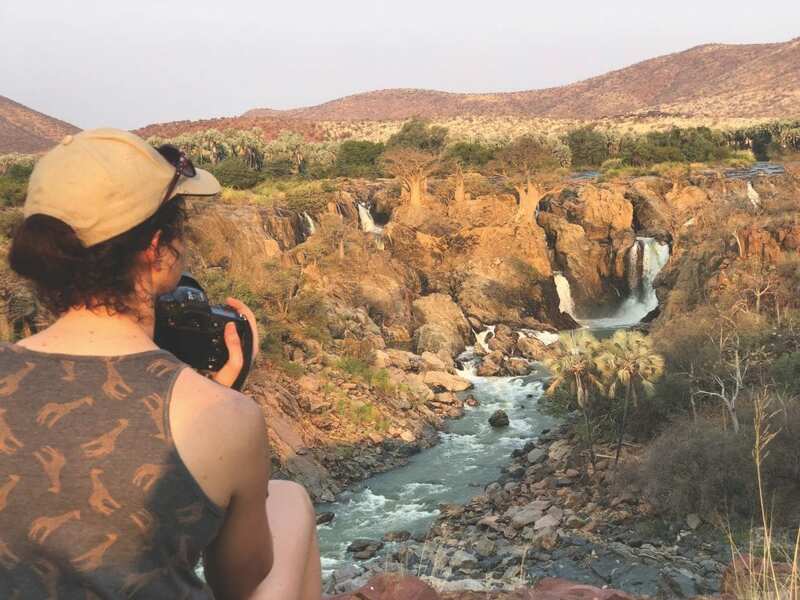 Next we want to visit Epupa Falls, where Islands in Africa has a tented camp along the Kunene River.